Ever wanted to compete with the top 1% of the players? We can make this happen. 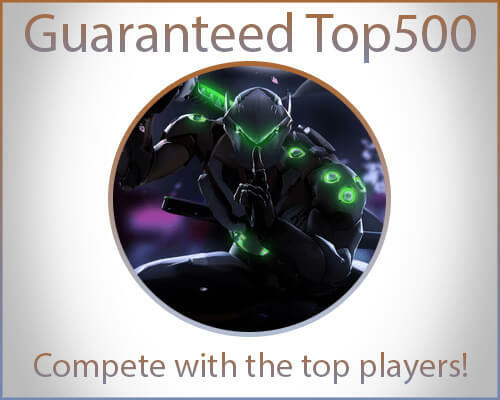 You can either choose the solo option and let us boost your account to Top 500 or Duo Queue with the booster yourself, this is a great way to learn the game yourself while climbing to the top. For now the boost includes getting you to top 500 but not maintaining you there for the end of season. Do boosters speak to my friends? No, we are focused on getting your rank and nothing else. Will I receive seasonal rewards if i drop out of Top500? Yes, you will. Seasonal rewards are based from highest seasonal rank. He was able to complete a boost with speed where other boosters failed to do so. He's definitely the guy to choose for any type of service! Nikola did great work again. I'm definitely a repeat customer :). Great service. Got me from 3411 to top 500. Thanks a lot!